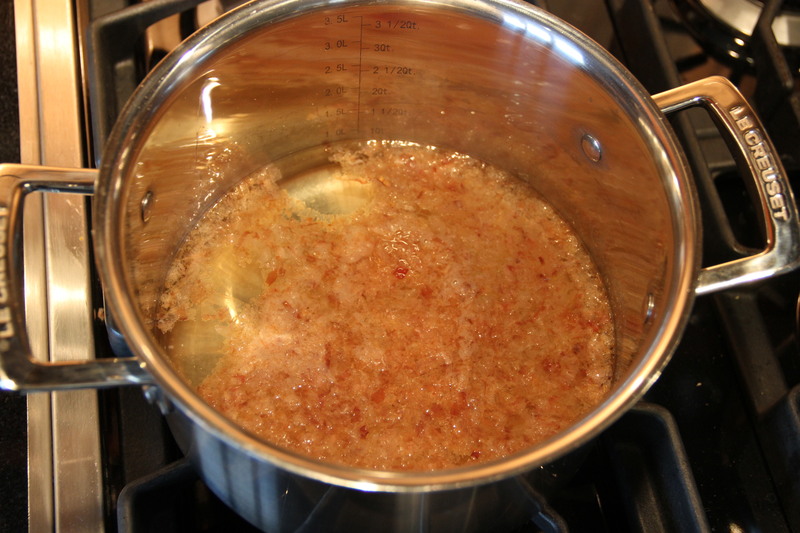 Dashi, or Japanese stock, is the most essential ingredient in Japanese cuisine. 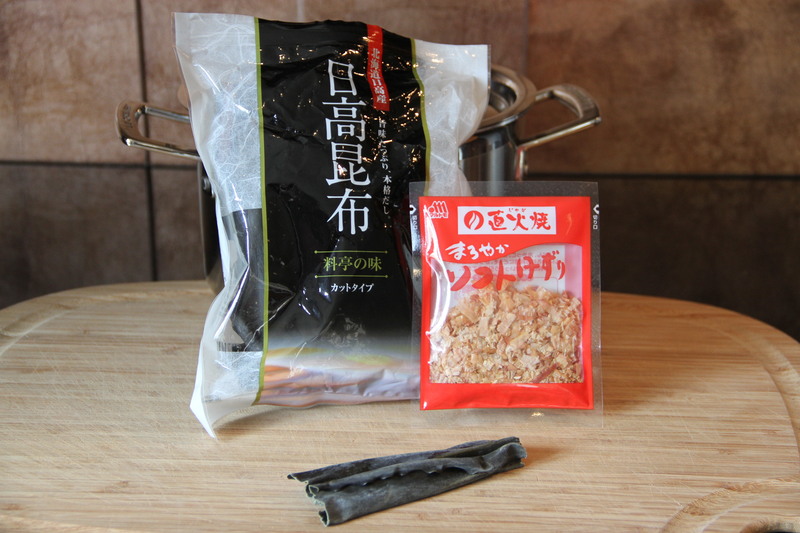 Rest assured you can buy pre-made dashi – either in liquid or powder form. But, if you learn to make your own, the flavors and richness of your Asian dishes will be deeply enhanced. 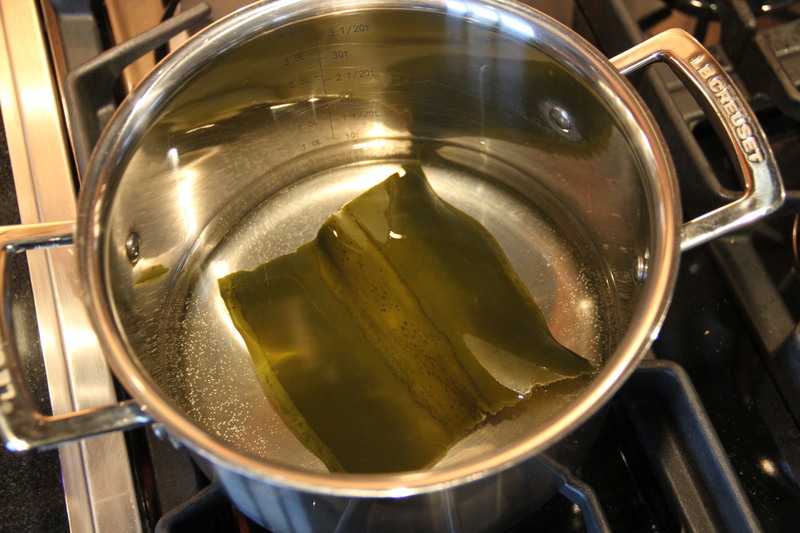 It only takes three ingredients to make dashi – water, dried konbu (kelp), and dried bonito flakes. If you do a lot of Japanese cooking like I do, you will almost always have these items on hand. 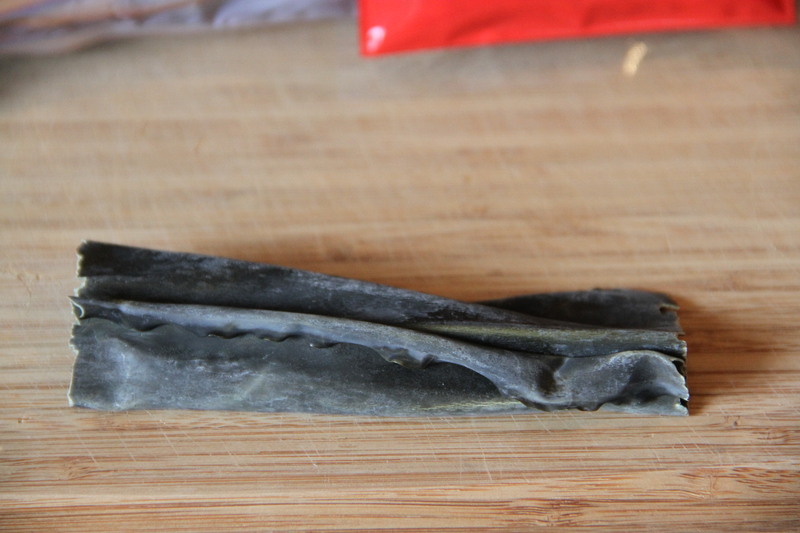 Dashi only takes about an hour to prepare, and it stores well in the freezer. This makes it simple to whip some out for miso soup, dipping sauces, or as added flavoring for dumplings, custards, fish dishes and more. Konbu and bonito flakes are standard fare in most Asian markets. If you have trouble finding these ingredients where you live, try some online purveyors such as Mitsuwa or Marukai. Now, let’s get cookin’! 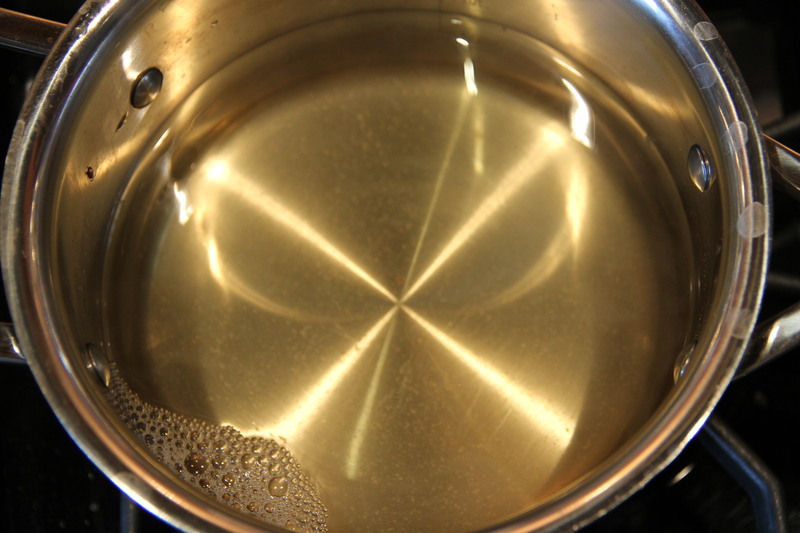 Pour water into a small, heavy saucepan. Add the konbu strip, and let it soak for 1 hour. Turn heat to medium low, and slowly bring the water almost to a boil. As bubbles start to appear around the outer edges of the pan, remove konbu and discard. Pour the bonito flakes into the broth, reduce heat to low, and continue to cook for about 30 seconds. 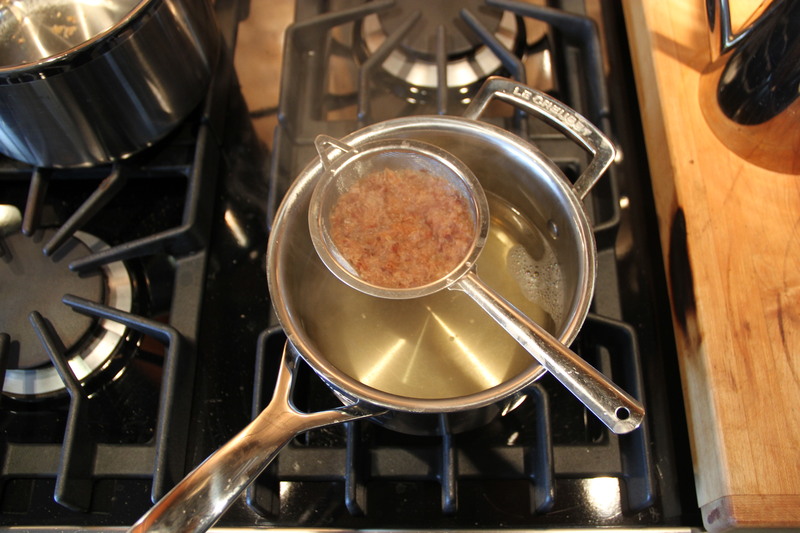 Remove broth from heat and strain using a fine-mesh strainer, cheesecloth, or a chinoise. Strain dashi a second time if necessary, in order to remove all bonito flakes. Dashi should be perfectly clear. 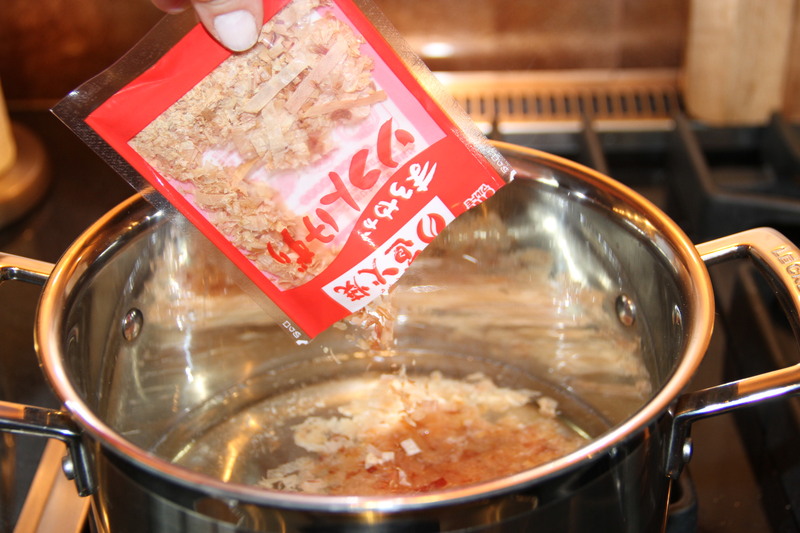 Dashi is ready to use immediately, or it can be refrigerated for up to 3 days, or placed in the freezer until ready to use. I love dashi and use it in a variety of ways. I have thought about making it a separate post on more than one occasion. It’s so simple to make. I was taught the same method as you prescribe except after you add the bonito flakes you wait until they sink to the bottom of the pot. Once they sink, strain it and use/store. Hi Richard! You’re right, dashi is so easy to make there’s no reason to buy pre-fab. I always have some in my freezer for soups and sauces. I also like to poach salmon in dashi, then serve it cold with an Asian soy-ginger dipping sauce. Dashi is so easy and so versatile that oftentimes I forget that I have everything in my pantry to make it whenever I want. I should really try adding it to more things and cooking more things in it. Thank you for the reminder!